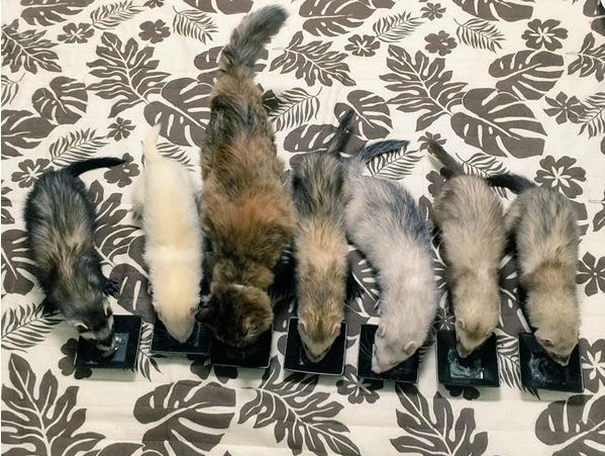 An abandoned kitten who was raised by six ferrets has grown up convinced she's exactly the same as her adoptive brothers. 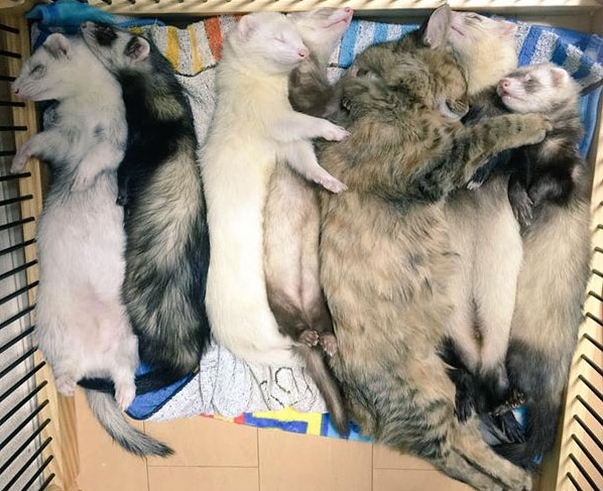 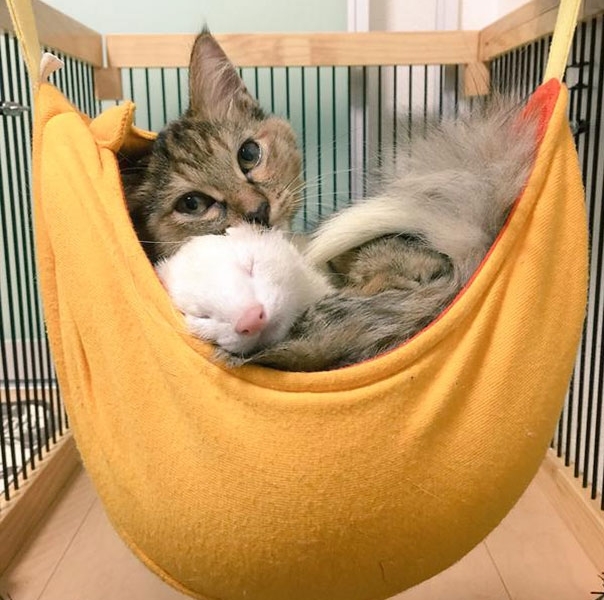 The feline who has been named Komari by her family in Japan eats with the ferrets, curls up with them and sleeps in the same bed. 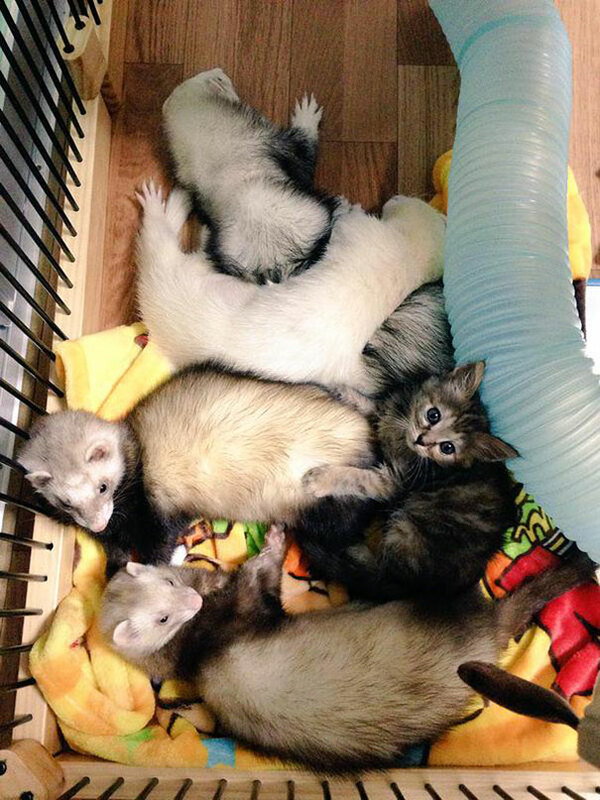 The cat is yet to realise she is much bigger than her siblings and even tries to wriggle through a pipe like her slimline family. 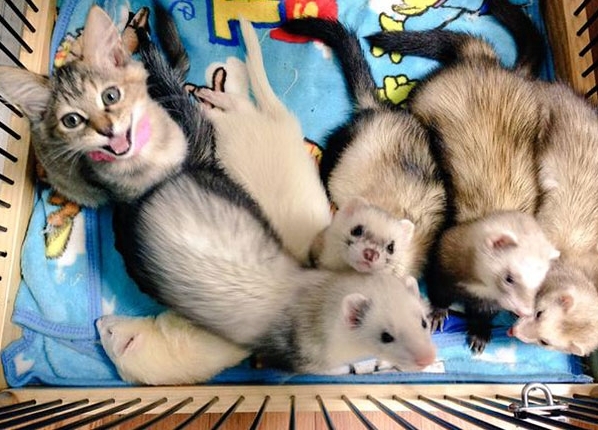 Documenting the moggie's recovery back to health and her acceptance into the ferret family, the adorable photographs have captured hearts on social media. 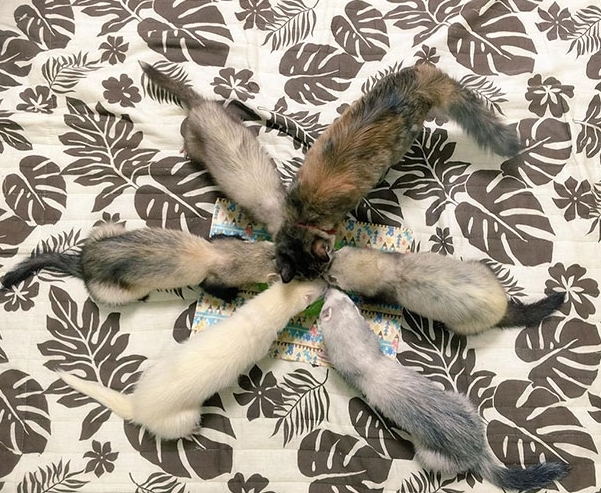 Komari eats with her ferret family, with her cat bowl lined up next to those of her siblings. 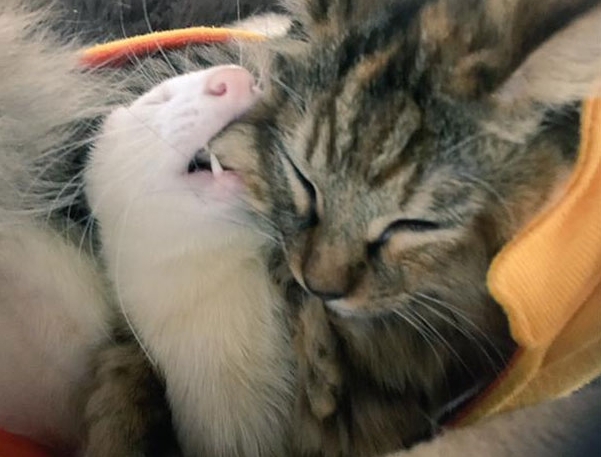 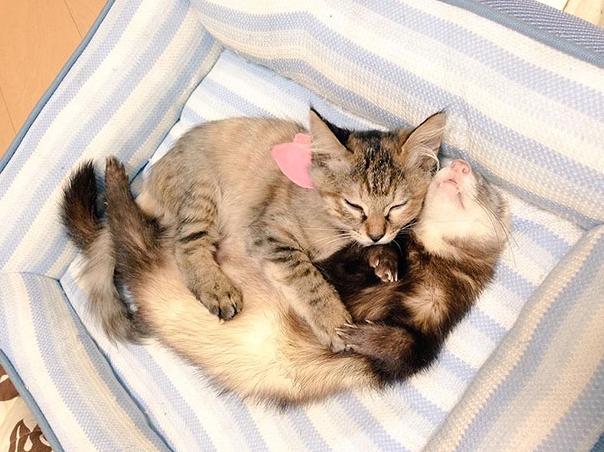 Adorable photographs also show Komari snuggled up to the ferrets while she was only a kitten, where she still sleeps to this day. 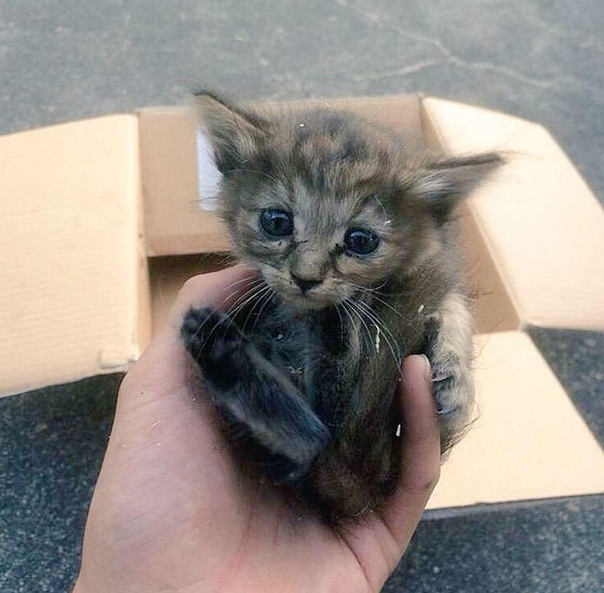 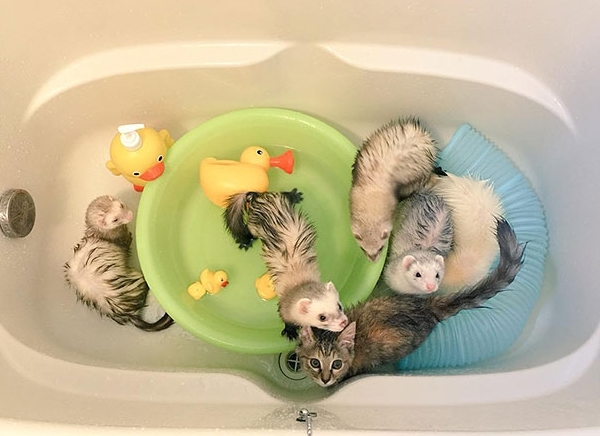 Responses to "Rescue Kitten Adopted By 5 Ferrets Thinks It’s A Ferret Too"
Thank you for rescuing this kitten.. quite the menagerie! 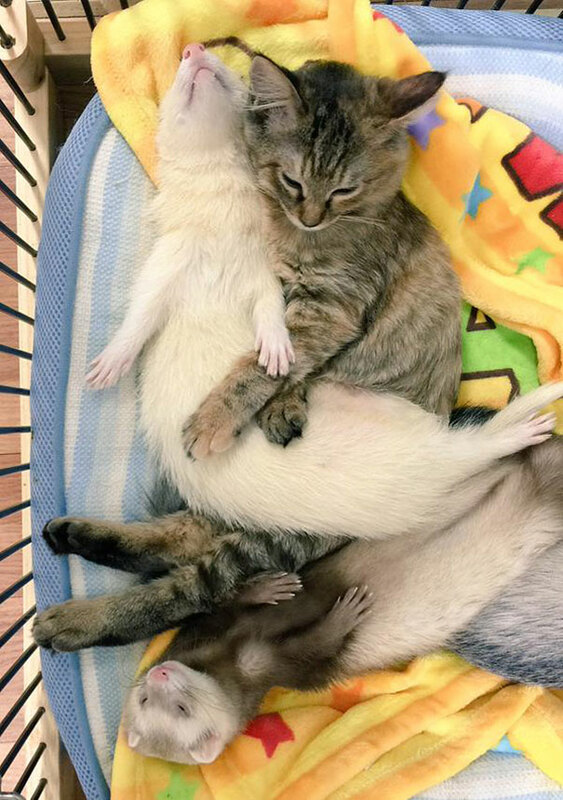 Differences don't seem to be a problem in the animal world.